The House speaker said he plans to file legislation next month to contain health costs, but he did not say how. Long-awaited state legislation to control health care costs will aim to cut annual increases in half, to about 3.7 percent, House Speaker Robert A. DeLeo said Tuesday in a speech to business leaders in which he provided few other details. Currently, the cost of health care in the state is climbing 6.7 percent to 8 percent a year, when taking into account both the prices paid to providers and the amount of care patients use. DeLeo said growth must be significantly slowed so that it is closer to the overall growth in the state’s economy, about 3.7 percent, a goal several health industry executives called aggressive. 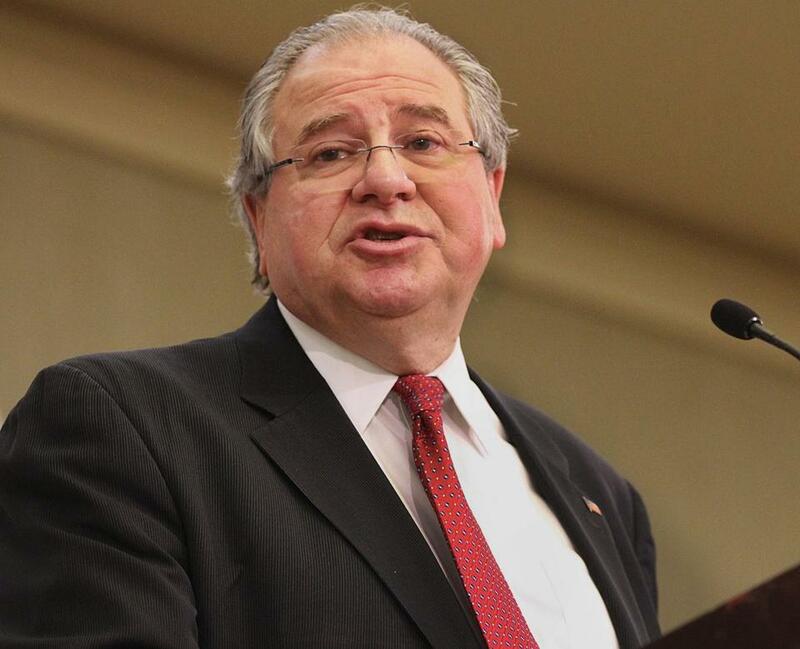 DeLeo told the Greater Boston Chamber of Commerce that he expects to file legislation next month, after the House completes deliberations on the state budget, but he would not reveal how the House proposal would hold down the cost of medical care. The Senate may also consider its own bill to rein in medical costs. Hospitals, doctors, insurers, and government leaders have been debating for two years whether the industry can control costs on its own or whether the government has to intervene with some type of price controls. Governor Deval Patrick proposed legislation last year that would give him authority to scrutinize insurers’ contracts with, and fees paid to, hospitals and doctors and consider whether those fees are appropriate before approving insurers’ requests for premium increases. Some have argued for more direct and aggressive government rate-setting, while others are pushing for no government role at all in guiding prices. Representative Steven Walsh, a Lynn Democrat and cochairman of the Committee on Health Care who is leading the House effort, indicated that the legislation will address payment inequities among providers. Some hospitals, many of them large teaching hospitals, and doctors groups with market leverage are paid far more than others for providing similar care. “We want the community hospitals to have a chance to survive and thrive,’’ Walsh said in an interview. “The important question is how quickly it can be achieved without unduly harming the health care delivery system,’’ Nicholas said.